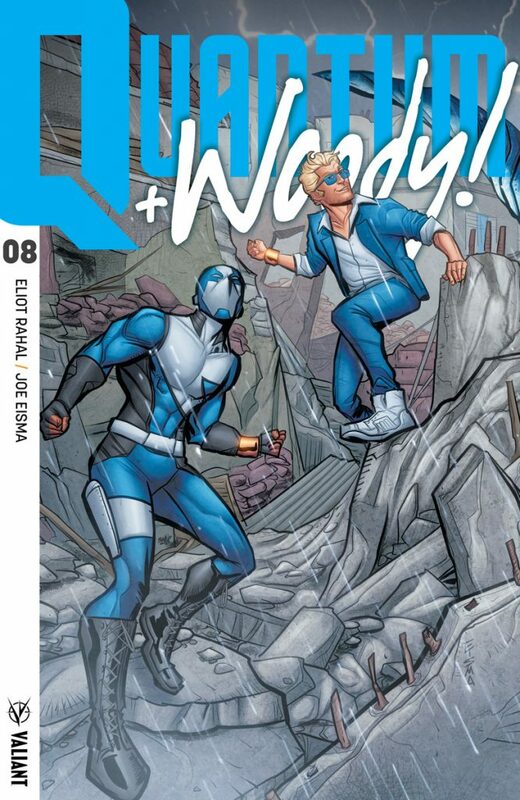 Valiant is proud to present your first look at the lettered pages of QUANTUM AND WOODY! 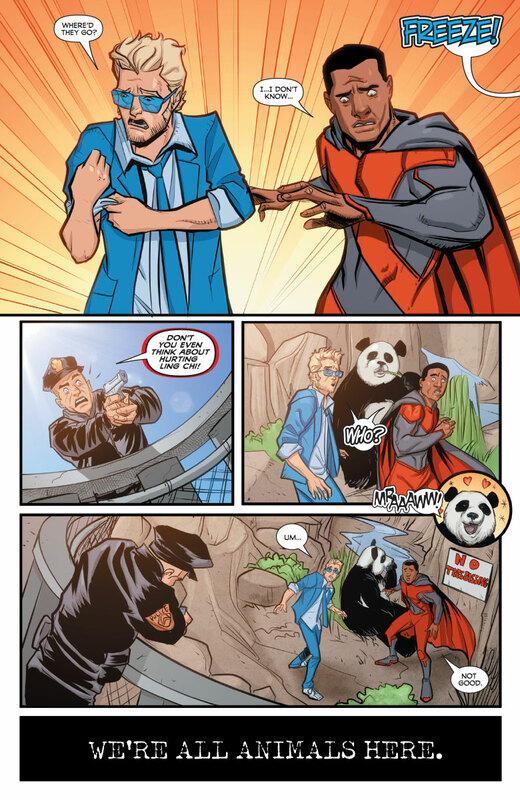 (2017) #8, an ALL-NEW ARC and NEW JUMPING-ON POINT for the UNPREDICTABLE ONGOING SERIES by renowned writer Eliot Rahal (The Paybacks) and Eisner-nominated artist Joe Eisma (Archie)! 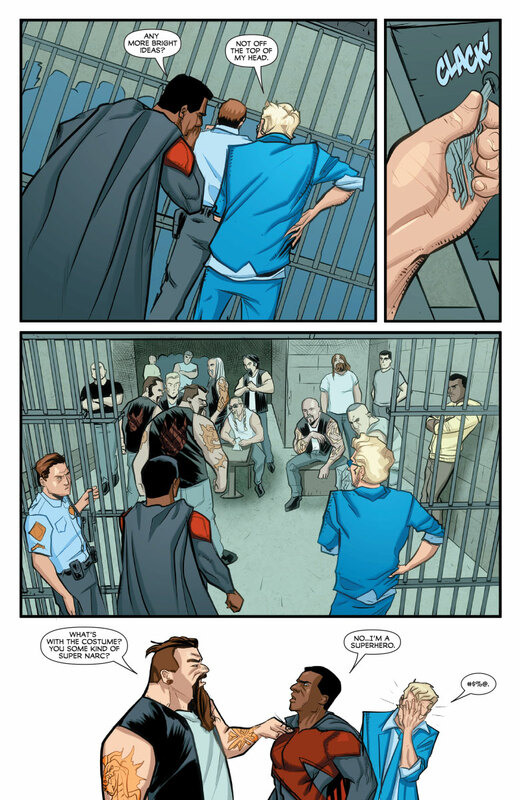 On July 18th, “SEPARATION ANXIETY” sends the Henderson brothers straight to the slammer for an all-new adventure* that will put their survival skills to the test! 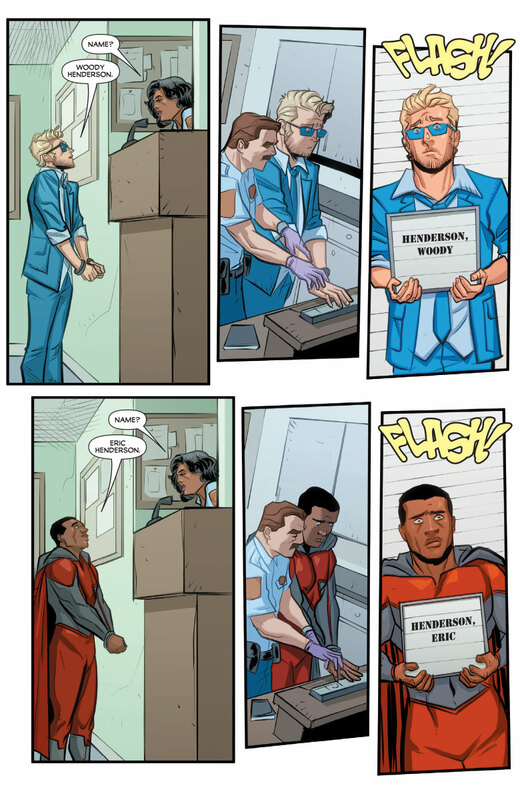 *For Quantum, anyway… let’s face it, this is not Woody’s first time behind bars! 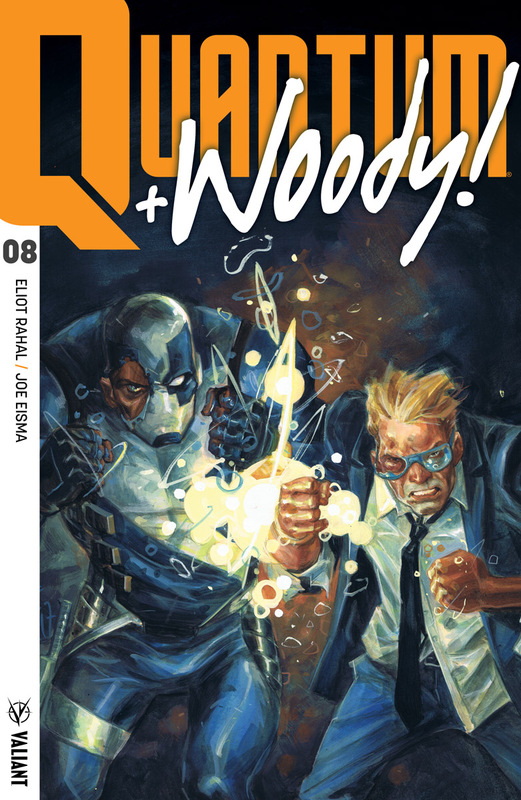 On July 18th, the world’s worst superhero team is going to have to go it alone as “SEPARATION ANXIETY”presents a super-powered stress test, courtesy of sensational writer Eliot Rahal and spectacular artist Joe Eisma, in QUANTUM AND WOODY! (2017) #8 – featuring covers by Tom Fowler (QUANTUM AND WOODY), Geoff Shaw (Thanos), Joe Eisma (FAITH), and Jen Bartel (Jem & the Holograms!). Then: On June 27th, do not attempt to adjust your eyeballs, because rising star Eliot Rahal and dazzling artist Francis Portela are taking things from zero to Dada as Quantum and Woody tie into, outside of, and in between Valiant’s seismic summer event in QUANTUM AND WOODY! (2017) #7! Featuring covers by Ariel Olivetti (The Incredible Hulk), Geoff Shaw (The Paybacks), and Viktor Kalvachev (Pherone)! Wait, there’s more! 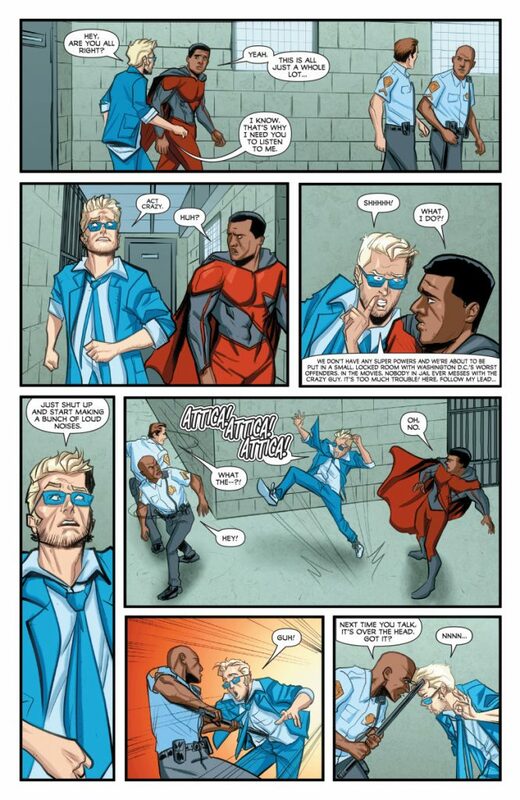 Catch up on the latest misadventures of the world’s worst superhero team in QUANTUM AND WOODY! (2017) VOL. 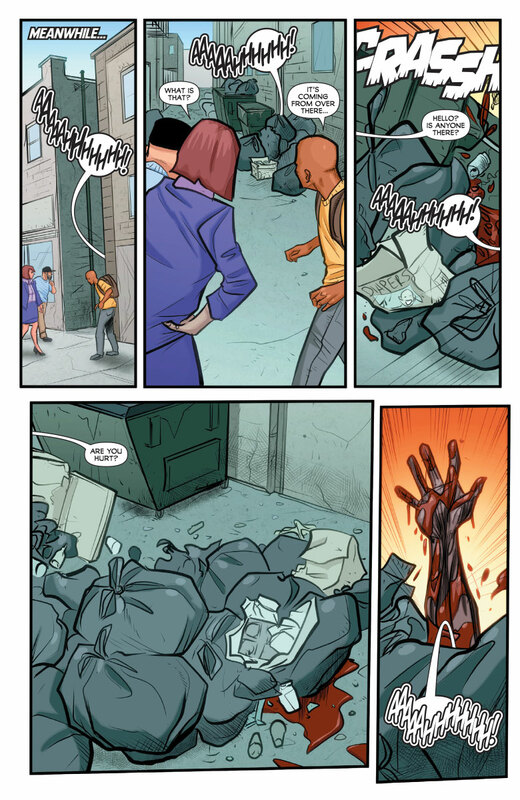 1: KISS KISS, KLANG KLANG TPB, also available on June 27th! Starting right here with issues #1-5, deeply alarming writer Daniel Kibblesmith (The Late Show with Stephen Colbert) and eye-popping artist Kano (Daredevil) give the Valiant Universe the adjective-worthy heroes it deserves in an all-new intro-priced trade collection!